It’s October 2nd already folks, and we’re in the last quarter of the year. Do you realize that we’ve got exactly 90 days remaining in 2013? If you did a quick evaluation of your life so far for 2013, would you honestly say that you’ve accomplished most of your goals? Has your life been meaningful so far? Would this year be a memorable one for you? Don’t give up … these remaining days are actually days of hope! I understand that we can still get many things done in 90 days. Some of the things that can be done in 90 days include – eliminating debt, becoming drug-free, reading through the entire Bible, learning a new language, even . . . falling in love again! 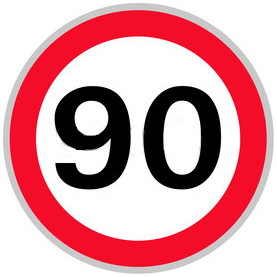 Here are a few links to health-related activities that can be done in 90 days. 90-Day Diet that really works! It’s based on detoxifying & food combining. 90 days to better health to balance body chemistry and to eliminate the imbalances. The Hasfit’s Free 90 Day Workout Schedule to build muscle fast! It includes Exercise Routine Videos, Workout Plan, and Diets. A BeFit in 90 Plan You can transform your body in 90 days, at home, with daily exercise videos, for free. Grow Yourself Blog post of Things to consider over a period of 90 days. Do you need to make a 90-day Commitment to some activity? I DO, and maybe you do too . . . so let’s begin then.